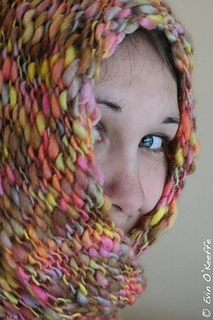 This cowl is a transitional piece to balance the bit of evening chill in the air. 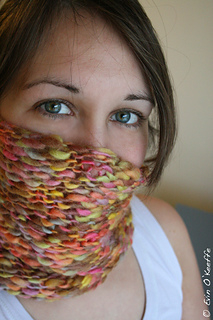 It stays in place, adds a bit of color to any outfit, and can carry you through winter into spring. 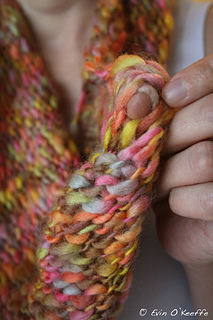 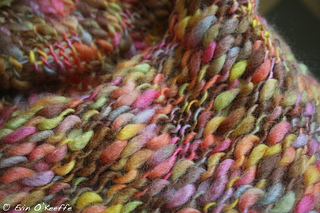 I named my creation the Taffy Twist Cowl because once it was knitted up, it reminded me of a caramel apple coated in sprinkles and crushed rainbow lollypop shards with maybe a rainbow of marshmallows too. 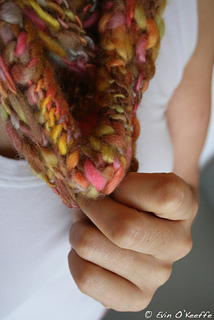 The imagery alone reminds me of an October carnival, which is a happy memory to loop around my neck to keep me cosy.